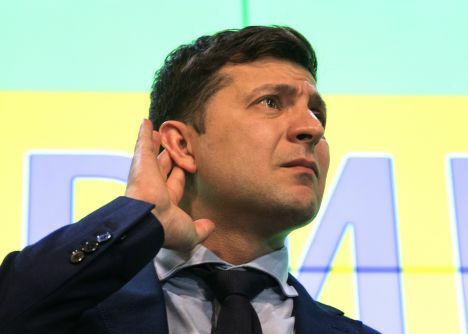 Partial results of the Sunday Ukrainian presidential election indicated that Volodymyr Zelenskiy was doing better than other 38 candidates, followed by Petro Poroshenko and ex-Prime Minister Yulia Tymoshenko. American news agency AP reports, citing the Ukrainian elections commission’s statement of early Monday, April 1, that with 20 percent of the polling station protocols counted, Zelenskiy had 30 percent, while incumbent President Petro Poroshenko was a distant second with about 17 percent and Yulia Tymoshenko with 13. These results were very similar to a major exit poll. The two winning candidates will advance to a runoff round on April 21.